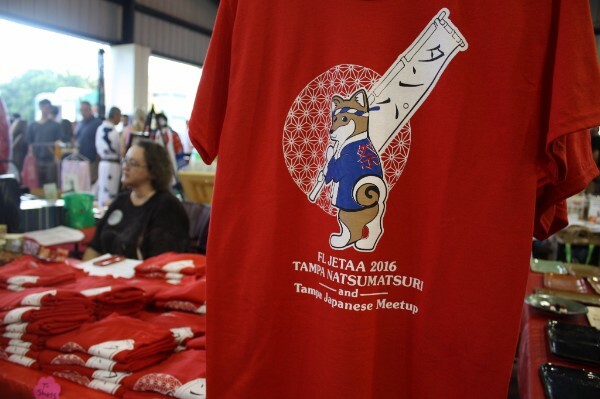 Our chapter’s flagship event, the Tampa Natsumatsuri, is only one month away! Over the last 12 years, this community organized festival coordinated by JETAA FL has continued to grow in size. Last year, we had an estimated 800 guests visit! Since this year marks the 30th Anniversary of the JET Program, we want to make it even better — but we need help from our JET Alumni! A core goal of the JET Program is for former participants to continue sharing their love and knowledge of Japan with people around the world. As a Chapter, we not only strive to create a home for JET alumni, but also provide opportunities for the greater community to engage with Japanese culture. Tampa Natsumatsuri, under the leadership of alumni John McGee and now Tom Gregorich, has been doing this for the past 12 years. The festival aims to create the real atmosphere of a Japanese summer festival with treats, crafts, dances, martial arts performances, cosplay, and traditional festival games. Tickets for the games are sold at an extremely low price, and admission is always FREE! We’d prefer people to help with full slots, but if you can only dedicate a certain amount of time, we will find a way to work around it! Read on to see how you can help. We’re looking for people to help with set up from 3 PM – 5 PM! We need someone to make, bring, and sell Coffee Jelly! This is something that JETAA-FL has sold at Natsumatsuri for the last few years. It’s really easy to make, and we can give you the recipe, but we’re really short-handed this year. Of course, you will be compensated for the cost of materials! 5-9PM (or until it sells out). We need volunteers to run game tables during the festival (5 to 9pm). You don’t need to bring anything but your enthusiasm! We have all the materials, and can teach you the games on site. Here’s a fun part-time job that may be of interest – it’s perfect for students and those with flexible schedules. 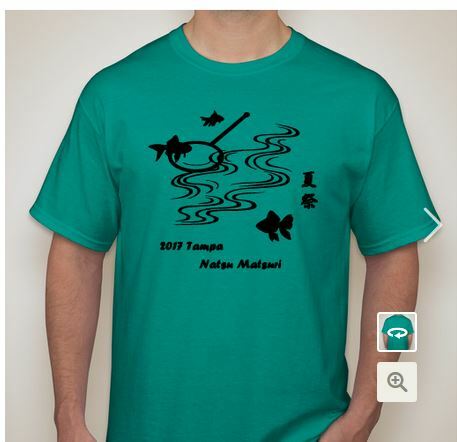 Buy your 2017 Natsumatsuri shirt! Shirts are $15 and come in 4 colors! They won’t be sold at the actual festival, so get them while you can! Proceeds go to help fund the festival.